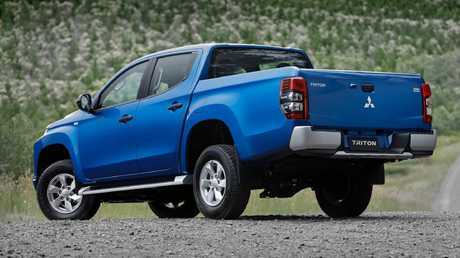 OVERT displays of rugged masculinity are generally frowned upon - other than when it comes to one-tonne utes. Mitsubishi's new Triton gets bulbous, muscular wheel arches and a testosterone-injected front end, aggressive enough to sprout a beard and hyped as "Engineered Beyond Tough". A midlife update this may be, rather than a new Triton for 2019, but visual changes are extreme. A response, clearly, to a proliferation of tough-styled flagship utes on our market - at ever crazier prices, the $75K Ford Ranger Raptor, for now, ruling the 4WD ute roost. 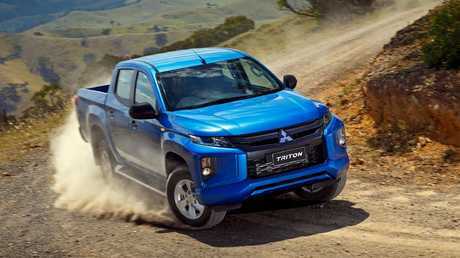 There's nothing quite so pricey in the Triton selection as Mitsubishi instead consolidates its position as value choice in the segment. Yes, prices are up across the 4WD Dual Cab range but this reflects the cabin enhancements and excellent standard safety kit often missing from one-tonners. 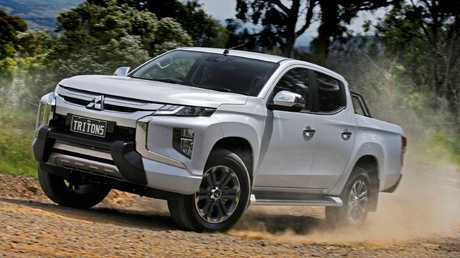 The new Mitsubishi Triton does its rivals for value. An extra sweetener comes with a seven-year/150,000km warranty for utes sold before June 30, and cheap capped price servicing of $897 for three years. That's solid peace of mind. 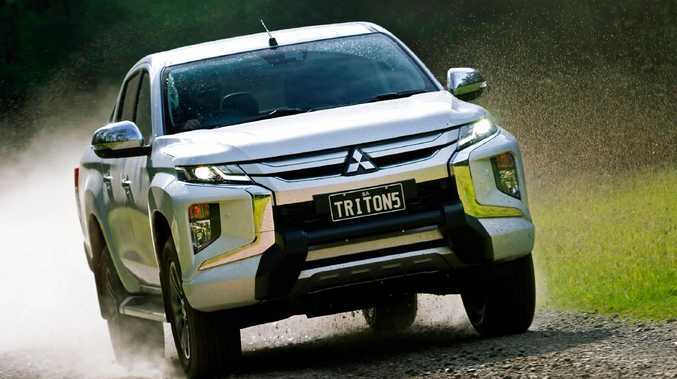 At the Triton's local launch in Tasmania, Mitsubishi Australia CEO John Signoriello said: "We're launching this to be more than just another product, it's a complete package." He highlighted the warranty, capped price servicing and Mitsubishi branded operating lease. 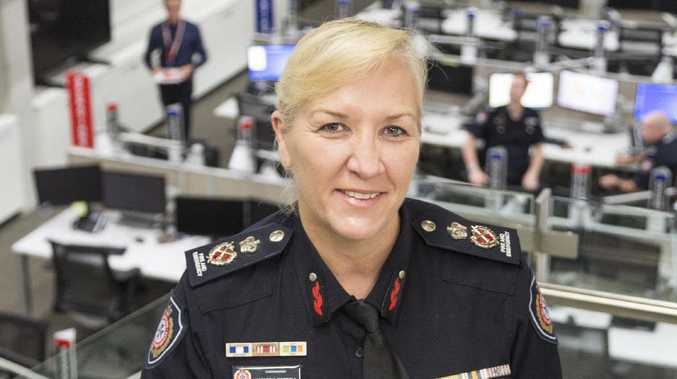 On the safety front, Signoriello said it has "become practically a duty of care to offer those (advanced) safety features to employees. Other brands have it, but not to the level we're offering down the range." There are four grades in the dual-cab 4WDs - GLX, GLX+, GLS and GLS Premium. All bar the range-topper come standard with a six-speed manual, while the Premium's six-speed auto is a $2500 charge in the rest. The workhorse GLX features Easy Select 4WD for shift-on-the-fly between 2WD and 4WD, all-terrain tyres, daytime running lights, hill start assist, cruise control, rear camera and rear sensors. The Triton has been thoroughly upgraded with modern safety equipment. Mitsubishi doesn't ask shoppers to buy higher grades to get advanced safety kit. An $800 option brings autonomous emergency braking, lane departure warning, fog lamps and auto sensors and wipers. No-brainer purchase, really. The above kit is standard on the GLX+, as is a seven-inch touchscreen with Apple CarPlay/ Android Auto. Move into the GLS and safety features become best-in-class. Blind spot warning, lane change assist and rear cross traffic alert are excellent inclusions. Hill descent control, an off-road terrain selector, 18-inch alloys plus Dyson-esque air vents in the roof and two USB points for rear passengers make the GLS the more versatile choice. Only the GLS Premium has a rear differential lock for more extreme adventurers, and your $51,990 adds a 360-degree camera, nudge bar, tub liner, smart key and heated leather seats. Decent value, considering. The Triton’s interior still shows that it is foremost a working vehicle. The Triton's a bit heavier, longer and higher than the old ute and has 15mm improved ground clearance (now 220mm). The 2.4-litre diesel engine remains, thirstier now due to the new auto transmission's gearing, reduced aero from the gym-junkie front end and more "real-world" - claimed fuel economy is 8.6L/100km. Cabins remain loaded with hard plastics but soft pads for the centre arm rest and kneepads increase the comfort. There's a sportier feel inside, decent phone storage bins (including for rear seats) and the seat fabric feels very hard-wearing. Interestingly, GLX and GLX+ use heavier duty six-leaf rear suspension suited to carrying bigger loads for longer periods. GLS versions, more likely to ride with empty tubs on bitumen, have a five-leaf set-up for better ride comfort. The ride still feels bouncy and unsettled at low speeds around town with no load but at speed it's quite compliant. Rather than Mercedes X-Class levels of ride comfort, it's acceptable, and the Triton punches above its weight for cabin quietness. The Triton’s new tougher styling is sure to win over buyers. The ride is more settled with load in the tub and is impressive on dirt roads, soft sand and some challenging rocky tracks. It bounds along competently aided by selectable modes for road. The diesel engine and gearbox may not be the most powerful, quietest or slickest in class but prove more than capable. If you want a grunty V6, look elsewhere, but you'll need deep pockets. As before, the Triton triumphs on the value front. The warranty, servicing, safety kit and now temptingly tough rugged looks make it a compelling all-rounder for work and play. Price: Dual-cab 4WD Tritons aren't the bargains they once were, thanks to higher spec and more safety gear - but against key ute rivals they remain a value pick. With auto, the prices are up by $500 to $3000. Technology: As rivals lag, Mitsubishi's gone bold on safety kit with AEB, rear sensors and lane departure warning on all but the entry level (it's an $800 option). GLS adds blind spot warning, lane change assist, rear cross traffic alert and miss-acceleration mitigation. All but GLX get seven-inch touchscreen, smartphone mirroring and digital radio. Performance: Turbo diesel carries over but is thirstier due to bluff frontal styling, revised auto transmission gearing, extra weight and more realistic fuel economy testing. Driving: Upgraded 4WD improves all-terrain performance. GLS gets selectable gravel, mud/snow, sand and rock modes. GLX and GLX+ get heavy-duty six-leaf rear suspension, GLS and Premium have slightly less harsh five-leaf standard suspension. New six-speed auto better for loads, towing and tractability.